NEW YORK — Katherine Pineda-Briceno was on stage in the cavernous auditorium of Veritas Academy, mic in hand, making a final plea to her classmates to vote for the school greenhouse project. Pineda-Briceno, a senior with blue-tipped hair who hopes to become a biochemist, was one of two dozen teens at the high school in Flushing, Queens, who helped dream up the idea of building a greenhouse after learning that students could choose how to spend $2,000 of the school’s budget this year. The process, known as participatory budgeting, was meant to ignite student interest in democracy and civic engagement. For weeks, the momentum favored the greenhouse project. Pineda-Briceno and her classmates campaigned in classrooms and hallways, put up posters and went out into the streets near their Gothic-style school building to interview residents about their needs and healthy eating. On stage, the 17-year-old walked the audience through a variety of options for greenhouse frames, ranging in price from $115 to more than $650. A classmate discussed with the audience possible locations for the new construction. While the greenhouse held broad appeal, on this voting day earlier this week, students who backed the other two project finalists weren’t giving up easily. Student supporters of a multi-purpose studio delivered an energetic performance featuring salsa and yoga moves and a ukulele. The studio would likely be carved out of an existing classroom, explained 18-year-old senior and studio supporter Roodmerly Norvilus, and would give students at the small school a new space for pursuing additional electives like cheerleading and different types of dance. A filtered water fountain was the third finalist. Student-conducted tests of the school’s regular water fountains had identified trace levels of lead. Participatory budgeting originated in the Brazilian city of Porto Alegre in the late 1980s and, since then, has spread to more than 3,000 cities worldwide. The idea is that giving citizens control over how to spend a share of public funds will bring more transparency to the budgeting process and activate greater participation in democracy. 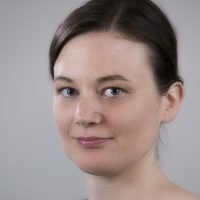 A few years ago, a school district in Phoenix became the first in the U.S. to introduce the process in schools on a large scale, according to the nonprofit Participatory Budgeting Project. This year, New York became the second school system to do so district-wide. 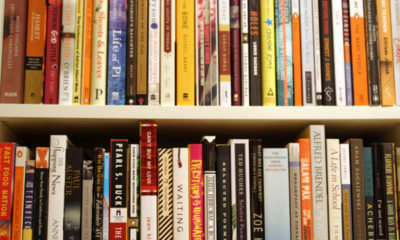 Over the past year, the New York City Department of Education (DOE) has been scrambling to put the idea into practice. This year, some 48 high schools introduced the process, part of a pilot that the DOE says will extend to more high schools in the coming years. Josh Lerner, co-executive director of the Participatory Budgeting Project, which advised the DOE, said the process teaches students how to identify needs in their schools, find ways to address them and pitch their solutions to peers and school leaders. “Those are powerful skills for getting anything done in today’s world,” he said. Research suggests that participatory budgeting makes people more likely to vote and attend and speak at community meetings. A handful of schools have been given the chance to spend more. This year, students at Park Slope’s John Jay Educational Campus, where four schools and a suspension site share space, voted on how to allocate $500,000 in capital funds, put aside by Brooklyn Borough President Eric Adams. They also divvied up $10,000 in funds from the schools themselves. The students chose to spend the majority of the capital money, $400,000, on bathroom renovations. Another $100,000 went to water fountains. Smaller amounts went to things like a movie night and a campus carnival. The teens also helped set school policies; they decided to create a campus-wide safety council. Aaron Kirshenbaum, a 17-year-old senior at John Jay’s Millennium Brooklyn High School, said he hoped involvement in the budgeting process would improve cohesion among the campus’ schools. His school is the best-resourced, he said, and its students tend to get more lenient treatment from security guards — a topic the safety council would tackle. “We really wanted to bring all the schools together,” said Kirshenbaum. In Flushing, Veritas students also considered refurbishing their aging school bathrooms, until they realized their money wouldn’t stretch, said Bobby Thomatos, a Veritas economics and government teacher who helped lead the school’s participatory budgeting process. Eight student-created projects were eventually whittled to three finalists, which yielded the vote on April 8. 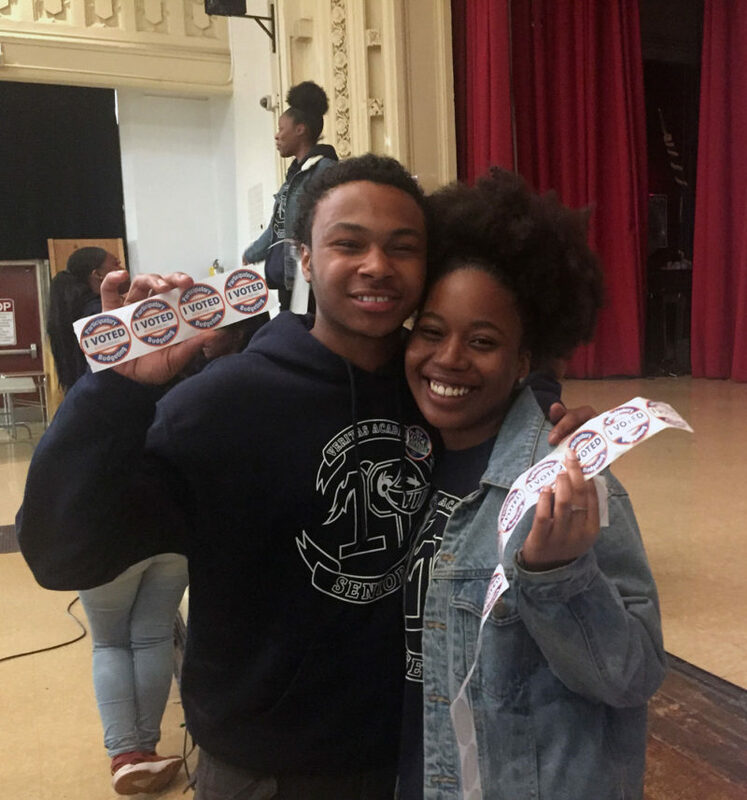 Students voted digitally, on laptops on the auditorium stage, and received “I voted” stickers. In the end, though, the vote wasn’t much of a squeaker. The greenhouse won with about two-thirds of the 495 ballots cast. The studio took second, with roughly a quarter of the votes, and the filtered water fountain received 11 percent of the vote. Thomatos said he hoped many of his students would feel this way. Last year the school tried a voter registration drive for seniors, but interest was low, he said. He wanted this year to be different. 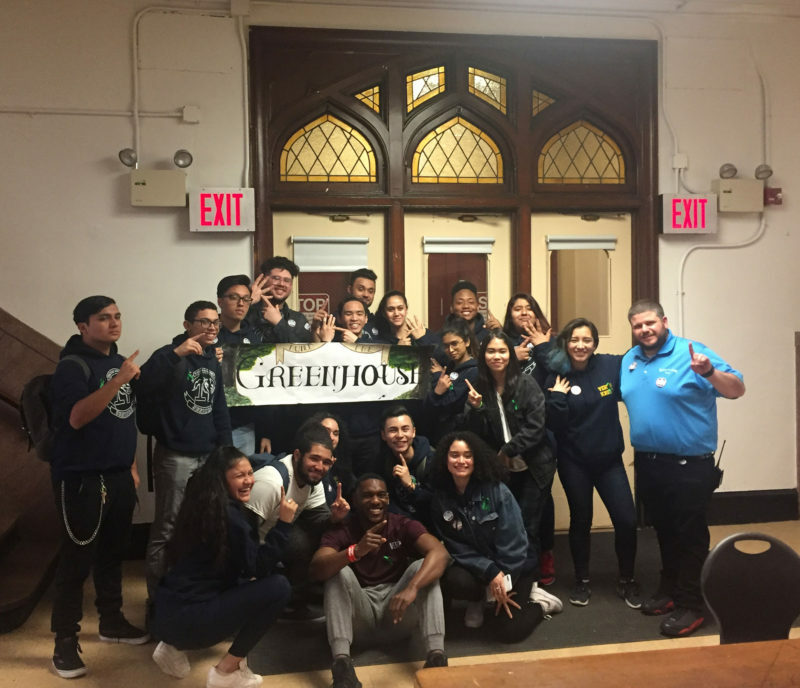 Participatory budgeting “broadened my view of democracy and it made me feel that my voice actually does count,” said Pineda-Briceno, the senior who backed the greenhouse. She added she had enjoyed trying to get all sorts of people excited about the project. It’s the sort of extensive engagement she wishes more politicians would do. *Correction: This version of the story has been updated with the correct spelling of Katherine Pineda-Briceno’s last name. 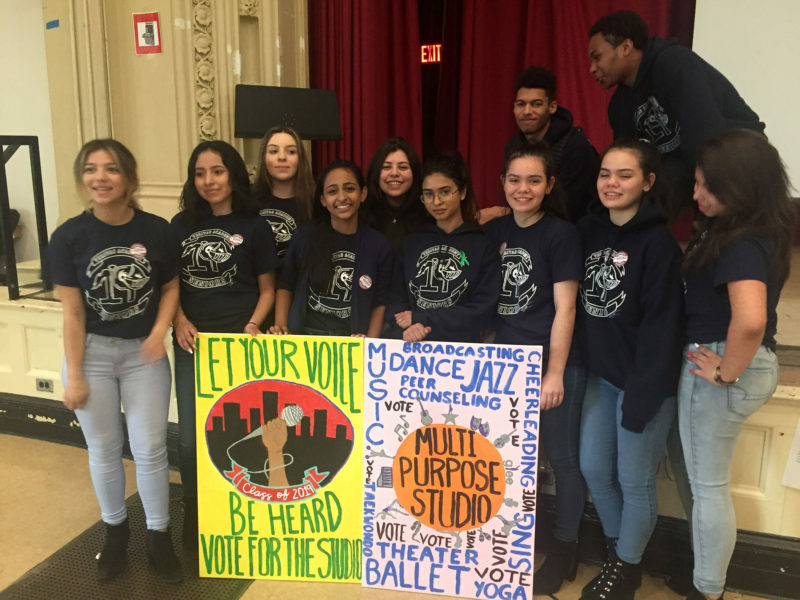 This story on participatory budgeting was produced by The Hechinger Report, a nonprofit, independent news organization focused on inequality and innovation in education. Sign up for the Hechinger newsletter.